The Zooniverse brings together people from all walks of life, from all over the world, to answer our biggest global challenges. You don’t need to be a scientist, a researcher or an academic to take part in the world’s leading ‘citizen science’ platform. That’s the best bit – anyone can help out. All you need is access to the internet to help real scientists and scientific organisations in their work. By combining micro segments of time from their volunteers, the people-powered Zooniverse is allowing us to answer the big questions faster than ever before. Scientific research in the 21st century can take an huge amount of time as we are drowning in more data than ever before, but by bringing hundreds of thousands of people together and making it very easy to take part, they’re speeding up new discoveries all the time. Some of the projects you can currently take part in include analysing global cyclone data, figuring out how to fight our resistance to antibiotics, and identifying plastic in our oceans. A good example is Chimp & See, which invites users to find and identify different species, contributing to a greater understanding of how we got here and where we’re headed – through videos. Platforms that take advantage of the power of the global crowd are needed to help us overcome our joint global challenges. They make it simple for people to get involved and they create a sense of personal responsibility as we take an active part in helping to solve some of the world’s problems. The reason Zooniverse were able to launch a project to help with the aftermath of the Caribbean storms so quickly is down to the Zooniverse Project Builder. 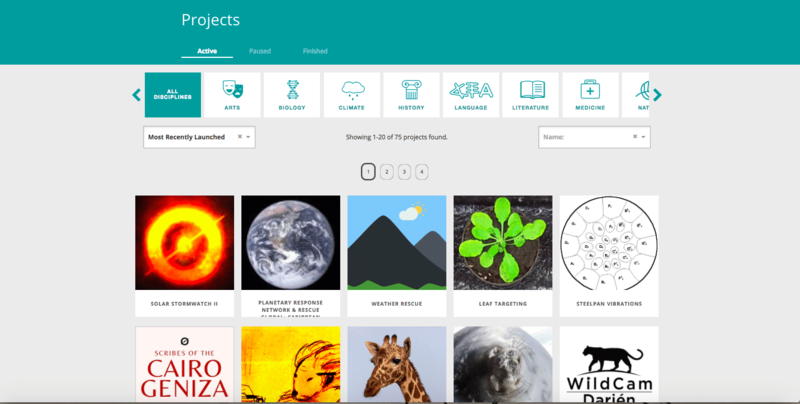 This is how easy it is to build your own citizen science project on the Zooniverse platform. AtlasAction: Join the zoo, check out the Daily Zooniverse or the main Zooniverse blog. Zooniverse was mapped in Helen Brain’s AtlasChart:5 easy ways to be a changemaker. Tags: Awareness raising, Big data, Communication, Community, Crowdsourcing, Data, Environment, Information, Mapping, NASA, Natural disasters, Photography, Population, Satellites, Space, Storytelling.